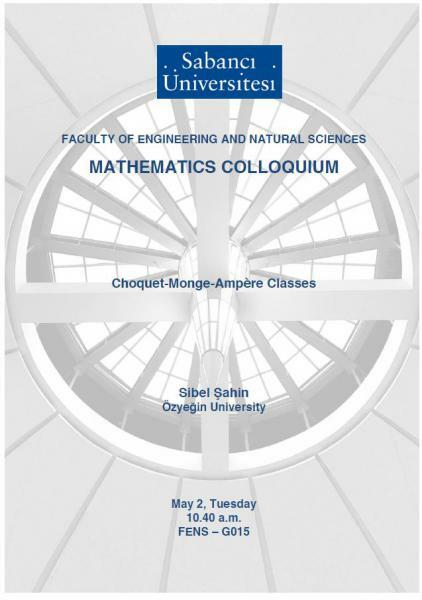 Abstract: In this talk we will consider a special class of quasi-plurisubharmonic functions, namely Choquet-Monge-Ampere classes on compact Kahler manifolds. These classes become a useful intermediate tool in the analysis of Complex Monge-Ampere operator with their small enough asymptotic capacity. We will first characterize these classes through Choquet energy and then compare them with the finite energy classes. We will see that over different singularity types the comparison between Choquet-Monge-Ampere classes and the finite energy classes yields totally different characteristics.